Less than two weeks after U.S. Attorney General Jeff Sessions ordered a nationwide review of all investigations and police reform agreements initiated by the Department of Justice, the U.S. Attorney's office in Pittsburgh closed its civil rights investigation of the Erie Bureau of Police. Whether the timing is coincidental or cause-and-effect is anybody's guess, because the U.S. Attorney's Office is refusing to answer questions. Sessions' directive, issued in a two-page memorandum, seeks to cut back on federal oversight of local law enforcement and roll back Obama-era reforms, from the use of deadly force to how officers work with minority communities. The review includes consent agreements reached in Ferguson, Missouri, following the fatal shooting of Michael Brown, an unarmed black teenager; and in Baltimore, Maryland, following the death of Freddie Gray, who died in police custody. 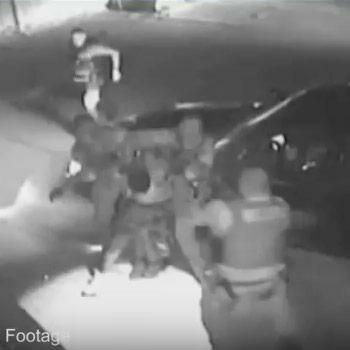 In Erie, the Justice Department launched a civil rights investigation after the June 28 arrest of Montrice Bolden was caught on camera and shared widely on YouTube. During a struggle with police, Bolden, a 41-year-old African-American man, suffered a concussion and broken bones in his face. Police claimed they needed to use substantial force because Bolden fought with police, flicked a lit cigar at them, and reached for an officer's gun. Erie's minority community said enough is enough: The arrest, they said, was a clear case of police brutality at the hands of the same officers who have exhibited this kind of behavior before. "After this review, we determined that the evidence does not warrant federal criminal civil rights charges against the Erie Bureau of Police officers who were involved in the arrest," said Soo C. Song, acting U.S. attorney for the Western District of Pennsylvania, in a news release Wednesday morning, without leaving her desk in Pittsburgh. When asked by phone about the civil rights investigation's other goal – to examine patterns and practices within the Erie Bureau of Police – Justice Department spokeswoman Margaret Philbin said only, "We have concluded the investigation." The lack of transparency surrounding the investigation, and the timing of its announced conclusion, are troubling. Back in November when I first requested information in preparation for my Erie Reader story (see "Police and the Public"), and in several follow-up calls, Philbin said she was unable to provide a timetable for the investigation, offer a status report from acting U.S. Attorney Soo Song, or discuss a general framework used in investigations like these. Linda Douglas, mother of Montrice Bolden, told me as recently as mid-March that no one from the FBI interviewed Bolden, witnesses, or family members. Police Chief Don Dacus said no one from the FBI asked to interview the police officers involved in the arrest. Dacus said that while his department cooperated with requests to turn over information, he had only "limited contact with the FBI, and that was early on when they asked for police reports, radio transmissions, and other documentation needed for their investigation. They have not given me a timeline whatsoever," he said. The handling of the case and the announcement of its outcome came as a surprise because they are at odds with the openness fostered by then U.S. Attorney David Hickton, who in August came to Erie, joining Assistant U.S. Attorney Marshall Piccinini and then police chief Randy Bowers, to announce the Justice Department's civil rights investigation and to open up lines of communication with a new community-police panel that is now meeting every two weeks. Unfortunately, Attorney Hickton announced his resignation on November 14, six days after the 2016 election put Donald Trump in the White House. Nominated for his position by President Obama in 2010, Hickton was a longtime advocate for criminal justice reforms, establishing a civil rights section in the U.S. Attorney's Office and working to enhance trust between the community and police. During his tenure, Pittsburgh was selected as one of six pilot cities for the National Initiative for Building Community Trust and Justice by then Attorney General Loretta Lynch. Among Hickton's other signature achievements were combating the national heroin and opioid crisis and addressing the nation's cyber security threats. He now serves as director of the Institute for Cyber Law, Policy, and Security at the University of Pittsburgh. Chief Dacus in December told me his department's internal investigation would remain open until the conclusion of the DOJ's investigation. If the FBI investigation turned up any new evidence, he said, he wanted the opportunity to examine it. It appears the Erie police department is now free to release the results of its own internal investigation. Whether the facts come out in Montrice Bolden's trial, at a press conference, or in a public forum, Chief Dacus would be wise to avoid mistakes made in the federal probe. The Justice Department announcement clearing his officers of criminal wrongdoing comes just as law enforcement and community members are making progress in their efforts to understand one another and rebuild trust. Genuine efforts by the police department are beginning to breach the divide. But until cops live and work in the neighborhoods they serve; until the force is made up of people who reflect the gender, culture and color of our community; and until police officers wear body cameras to record their encounters on city streets, problems will likely continue. There's a new sheriff in town with Jeff Sessions as Attorney General. President Trump's proposed budget all but eliminates Justice Department funding for community-policing initiatives. The tone has shifted, but Erie's leaders have an opportunity to shape the conversation, and thereby bring about real change. Lisa Gensheimer is a documentary producer and writer who lives in North East. She can be contacted at lisa@onmainstreet.com.